A mobile payment service that lets taxi passengers pay via their credit or debit card is now available to all of London’s 22,500 black cabs. To date, 15,000 of the city’s taxi drivers have signed up to the service. “HailoPay allows passengers to use their smartphone to pay for the journey with a credit or debit card by visiting a secure site, entering their driver’s badge number and confirming the payment amount,” service provider Hailo says. “Upon completing the payment, the driver receives a notification and the passenger receives a receipt on their device, which can be sent via email. The company launched a separate mobile payment service called Pay with Hailo in September 2014 that uses Bluetooth Low Energy (BLE) technology built into drivers’ and passengers’ iPhones to recognise when a passenger is in a Hailo driver’s vehicle. The two services will operate alongside each other. “The taxi industry is far from a cash-only, technophobic trade,” says Andrew Pinnington, CEO of Hailo. 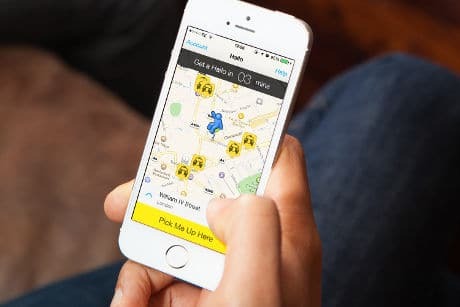 “In the past four years, the Hailo app has facilitated mobile and card payments for almost nine million journeys in London and now, through HailoPay, all London black cabs have the ability to accept mobile payments for passengers hailing off the street.